Five students earned their high school diploma through Briya’s National External Diploma Program (NEDP) in spring 2017, and they celebrated with faculty, family, and friends during a graduation ceremony. The NEDP, which Briya offers to students in the most advanced English level of its Two-Generation Program, is specifically designed to meet the needs of adult learners. Hernandez shared that for her, one of the most relevant topics turned out to be learning about diabetes in the health unit of the program. Months later she was diagnosed with diabetes herself, and she felt much more confident in her understanding of the illness and its treatment because of what she had learned through the NEDP. During the ceremony, students each received a copy of Dr. Seuss’s “Oh the Places You’ll Go,” a gesture to celebrate their hard work and bright futures, as well as to honor the importance of their young children and families. Lenora Robinson Mills, COO of the DC Public Charter School Board, then officially conferred the diplomas on the graduates. Judy Kittleson, Briya’s NEDP Coordinator, congratulated the students on the dedication and perseverance they showed as they balanced their studies and the rest of their lives. 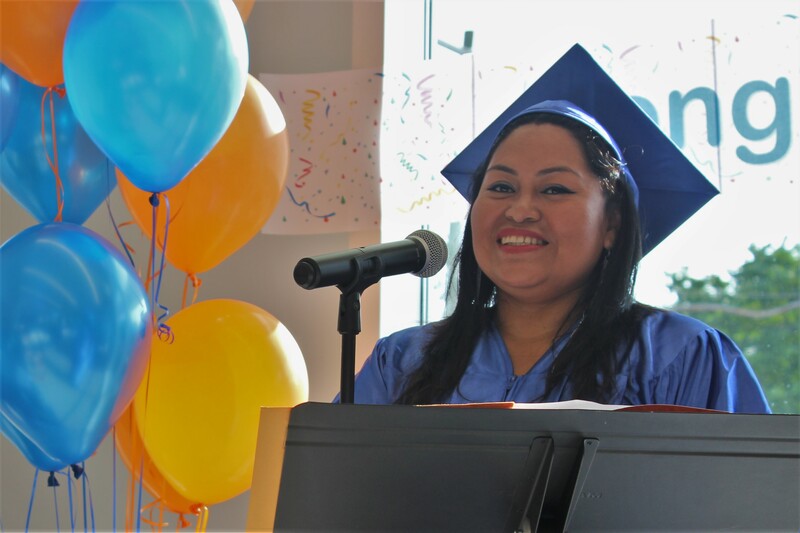 “My goal is to be a good mother to my children and have them see that it is never too late to study,” said Florencia Ibarra, one of three students who earned her high school diploma from Briya this June. Ibarra, a mother of four from Mexico, started as a student in the Intermediate II class of Briya’s Family Literacy Program seven years ago. She has since improved her English enough to move to the Advanced I class and then to Advanced II, in which students are eligible to enter Briya’s National External Diploma Progam (NEDP). The NEDP is an adult high school diploma program in which students work one-on-one with an adviser to demonstrate competency in a variety of areas. The program is performance based rather than test based, and the educational content is designed to be relevant to the life experience of adults. The program provides students with the flexibility to work at their own pace and on their own schedule. This is significant for Briya students, who often have to balance raising children, working and attending class, among other responsibilities. Earning a high school diploma from the United States helps open up many career and educational possibilities. The third 2015 Briya NEDP graduate, Wendy Evora, is continuing her education as a student in Briya’s Medical Assistant Program. Ibarra and Martinez both hope to get jobs working in an office. All three 2015 graduates said they would encourage other immigrant parents to consider entering Briya’s program and earn their diploma. Briya has been offering the NEDP—which is sponsored nationally by Comprehensive Adult Student Assessment Systems (CASAS) and locally by the Office of the State Superintendent of Education (OSSE)—since the 2010-2011 school year. Sixteen students have graduated from Briya’s program so far, and ten students are currently enrolled. On June 25, for the first time, Briya Public Charter School students were awarded high school diplomas bearing the Briya name and logo. 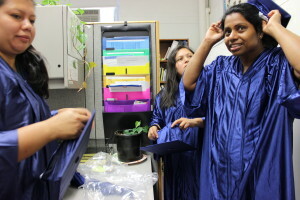 Six students donned cap and gown for the graduation ceremony. These Briya students spent many years studying English, math, computers, parenting, critical thinking and life skills in order to earn their diplomas through the National External Diploma Program (NEDP). NEDP, overseen in the District of Columbia by the Office of the State Superintendent of Education, is a nationally-recognized program for the assessment of high school-level skills in adults. 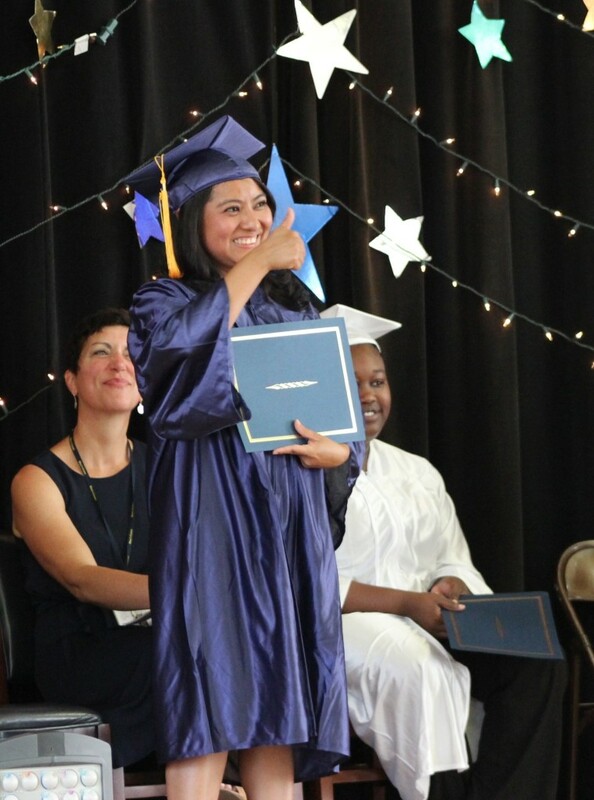 To see pictures from this year’s graduation and recognition ceremony, click here!